Are files attached to an email automatically added to a contact’s profile? 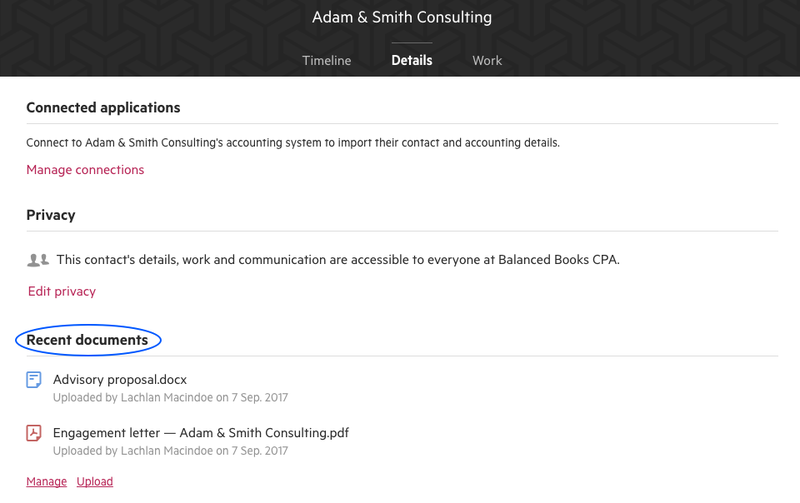 The recent document section of a contact does not automatically include email attachments. No, unlike work items, this does not happen automatically for contacts. Documents can be added to contacts manually by uploading them under Details > Recent documents.